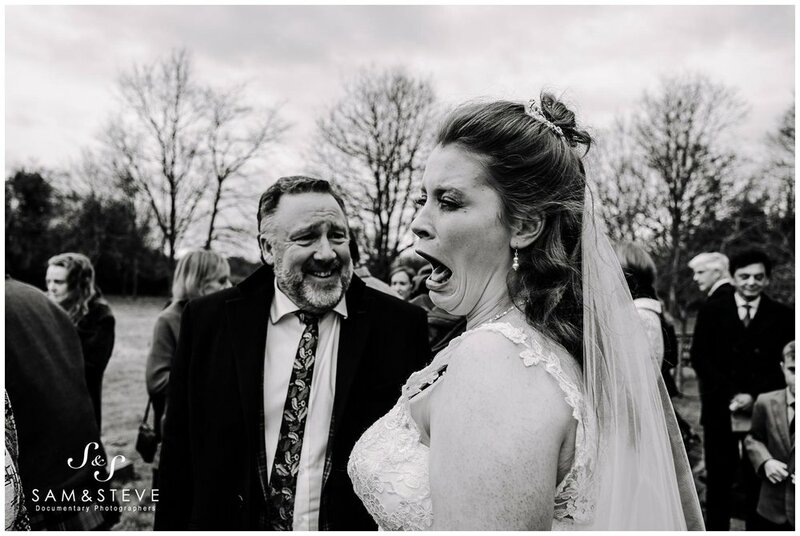 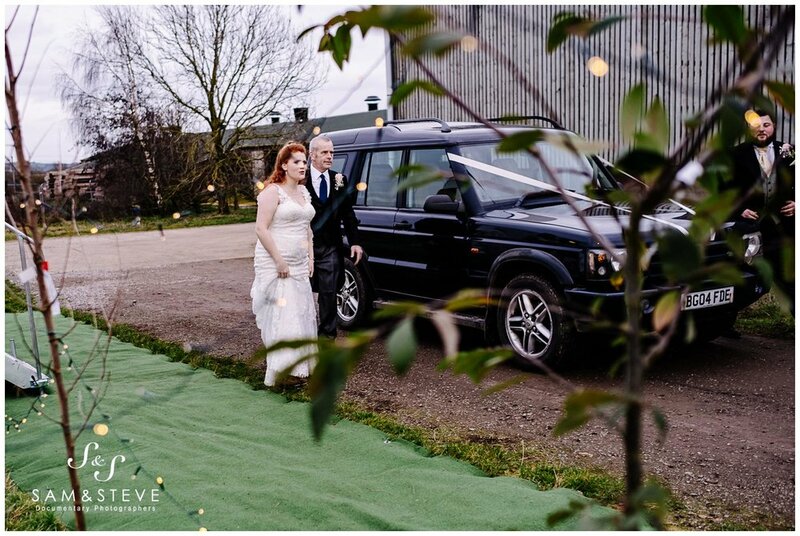 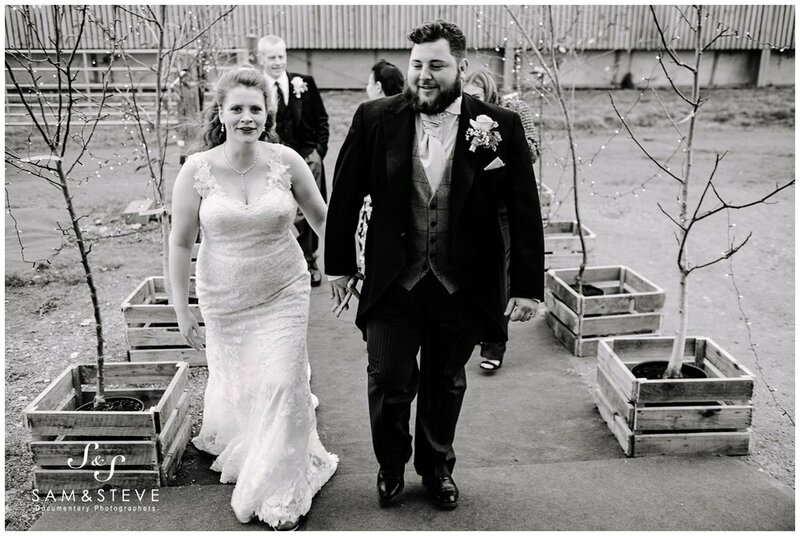 Our first wedding of 2019 was very local to us, in fact about 2 miles from our home! 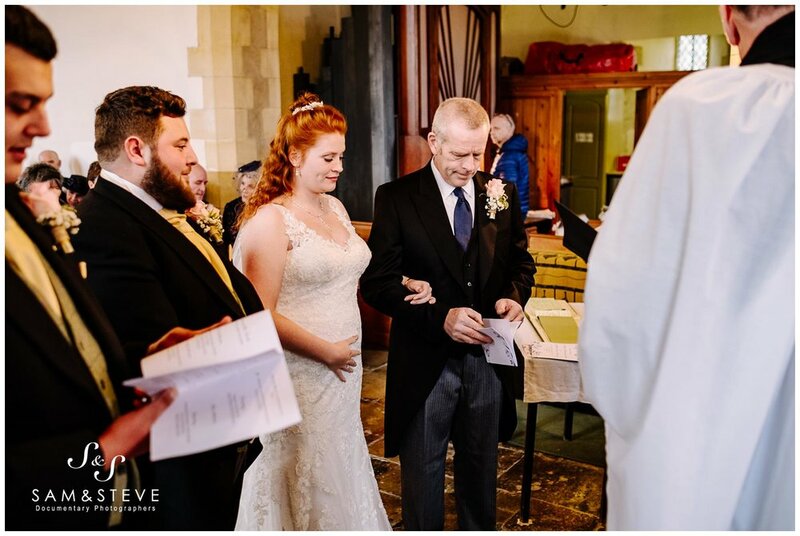 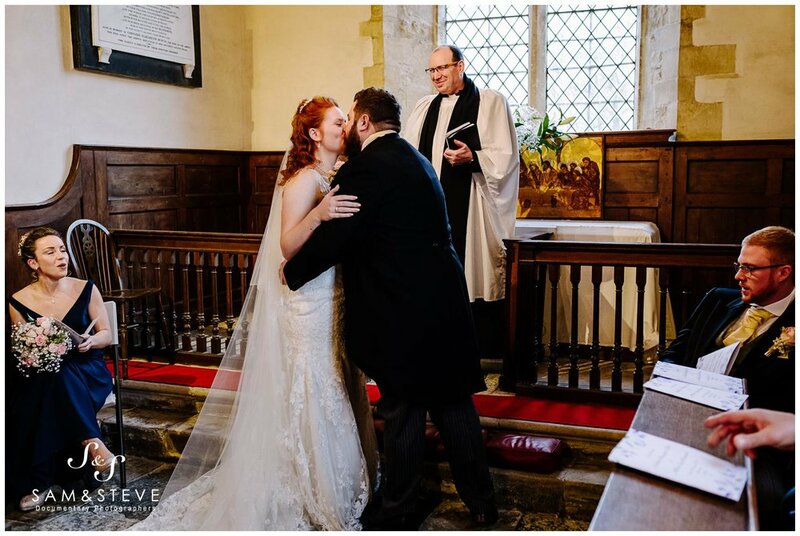 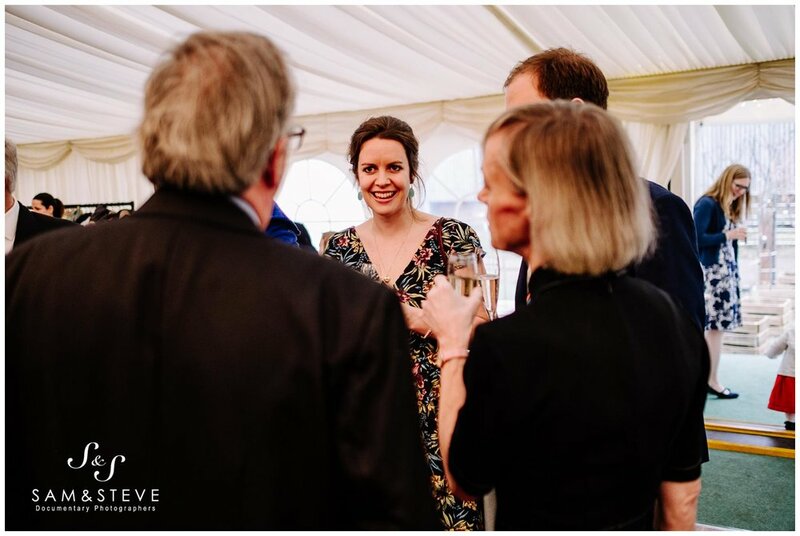 As we are Bicester Wedding Photographers , Millie and Nick’s lovely wedding at Wendlebury Church, followed by a marquee reception in a field at Millie’s parents farm was practically on our doorstep. 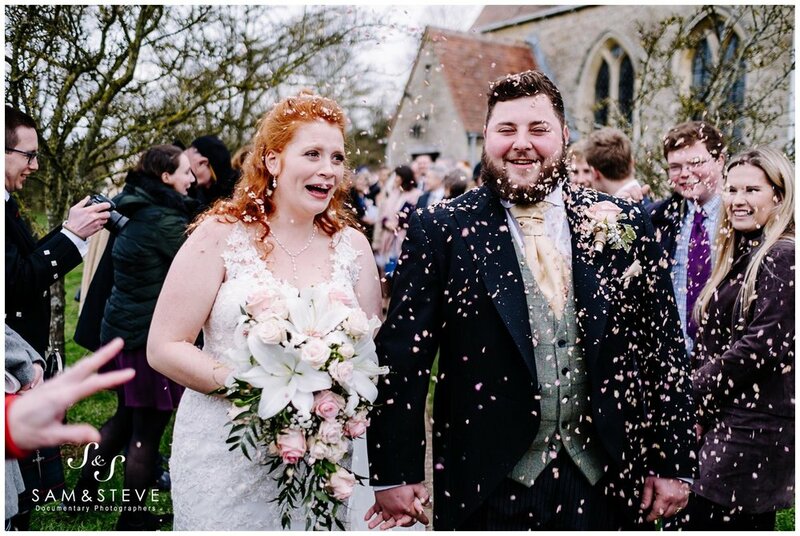 And what a lovely wedding it was to start our year! 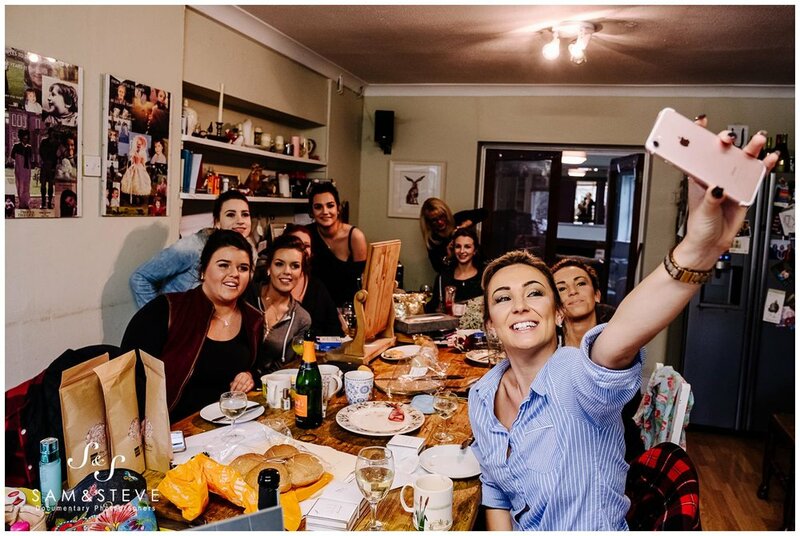 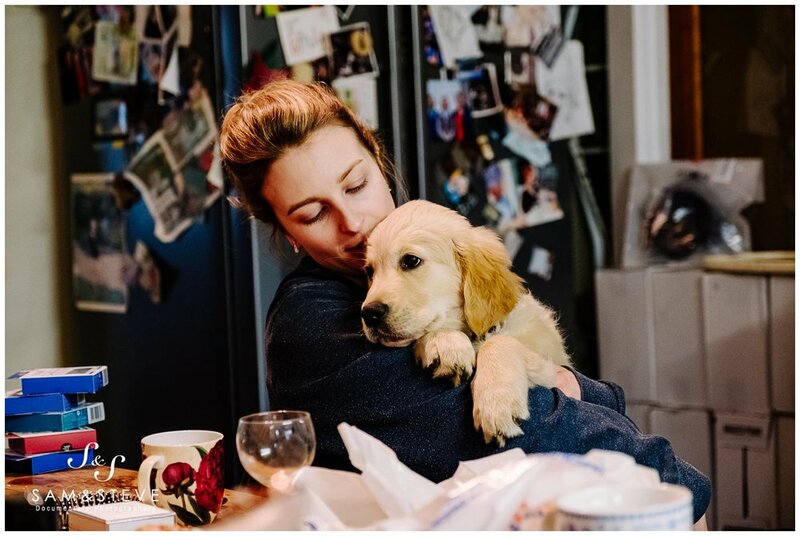 Samantha’s day started at the family farm with Millie and the bridal preparations with all her bridesmaids. 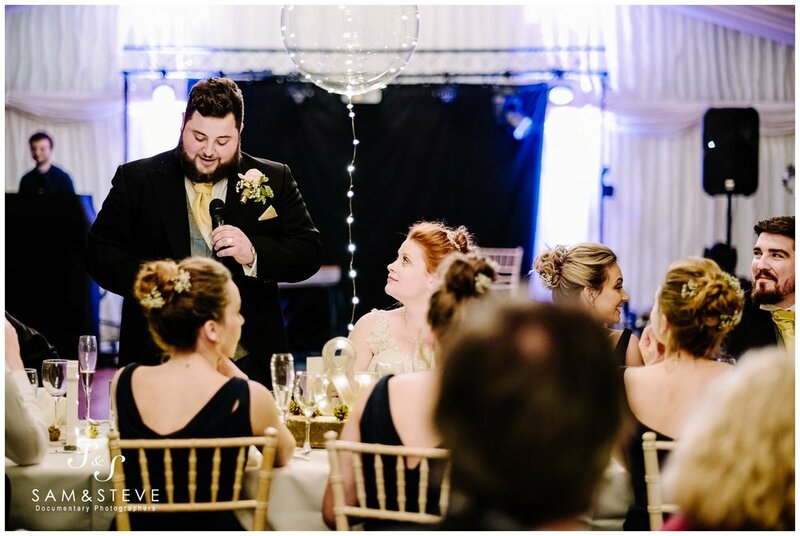 I came along a little later to the village pub and hotel, The Lion in Wendlebury. 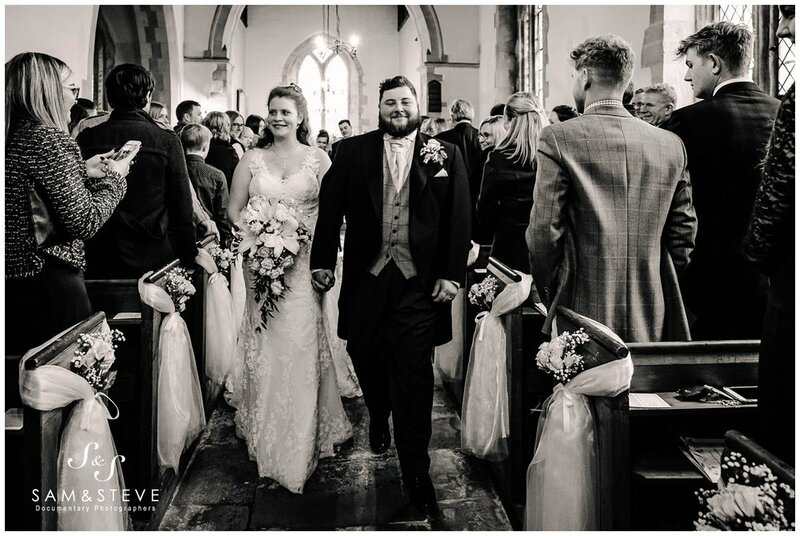 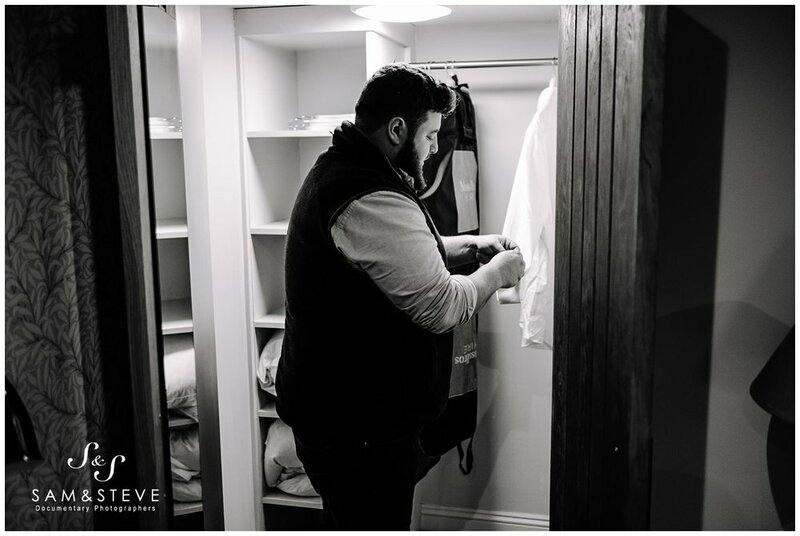 This is a lovely village pub which has recently been upgraded with 13 bedrooms, and it was here that Nick and his groomsmen got ready. 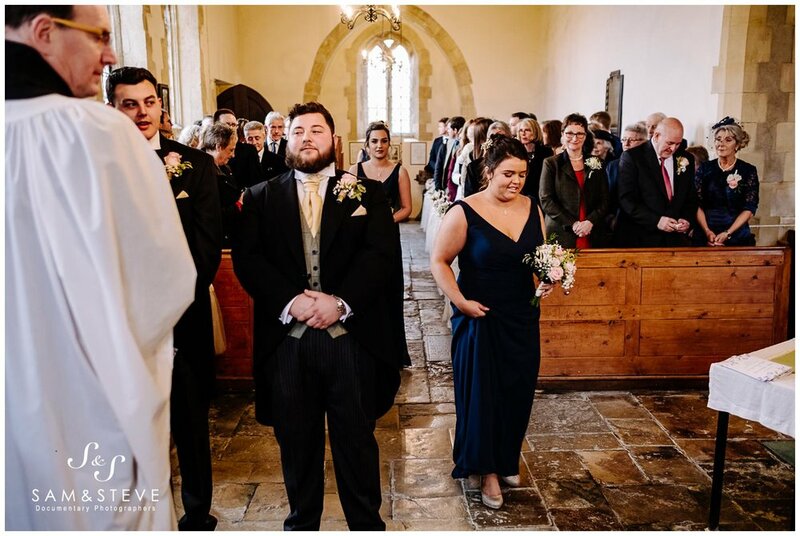 Once the guys were ready, and the customer pre-wedding pint was consumed, it was a short walk up to St Giles Church, Wendlebury. 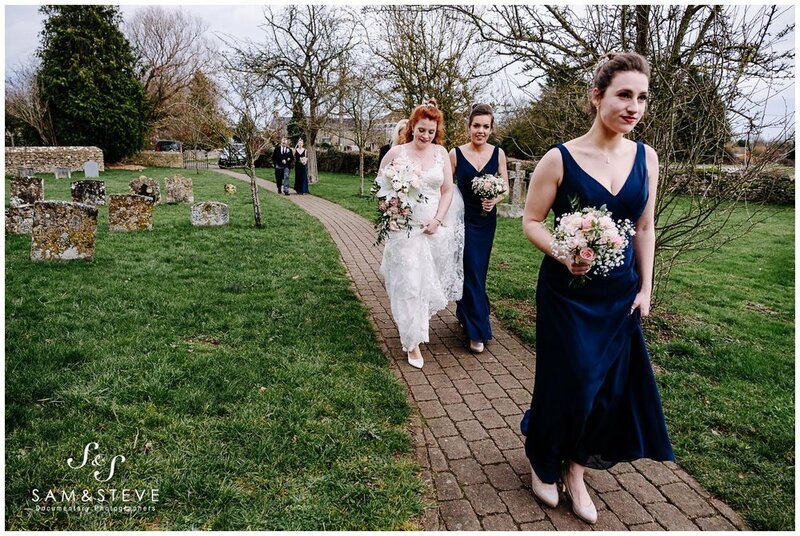 Millie arrived to the church with her bridesmaids courtesy of one of the farm Land Rovers, and as usual Sam photographed her arrival, whilst I was inside waiting with Nick and the guests. 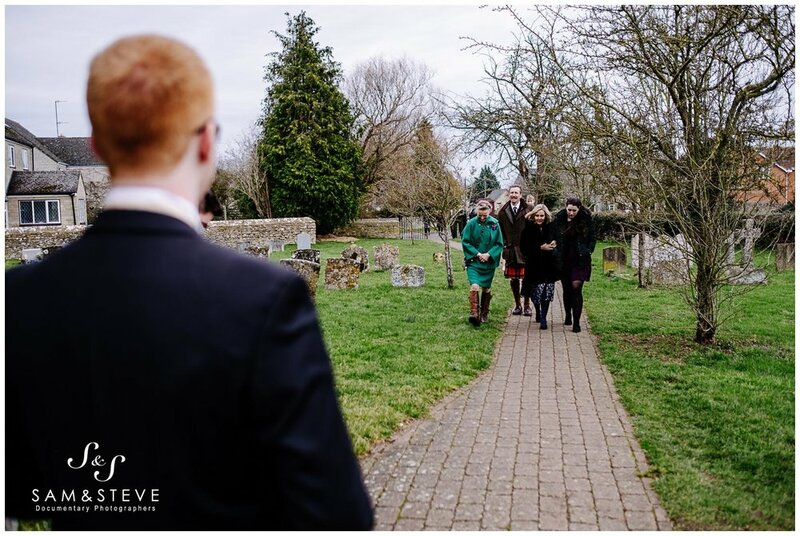 After a lovely church service (including some rewriting of the words to the classic hymn “We plough the fields and scatter”; see the photos below), the whole wedding party made the short journey to the marquee. 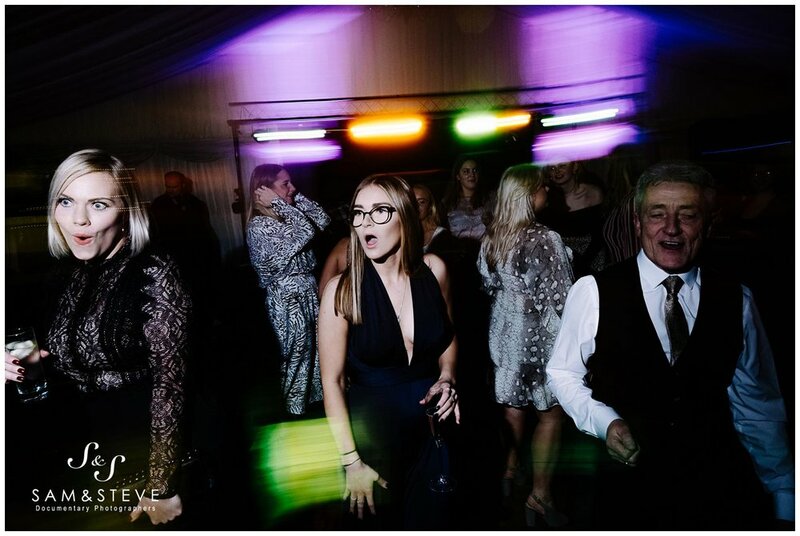 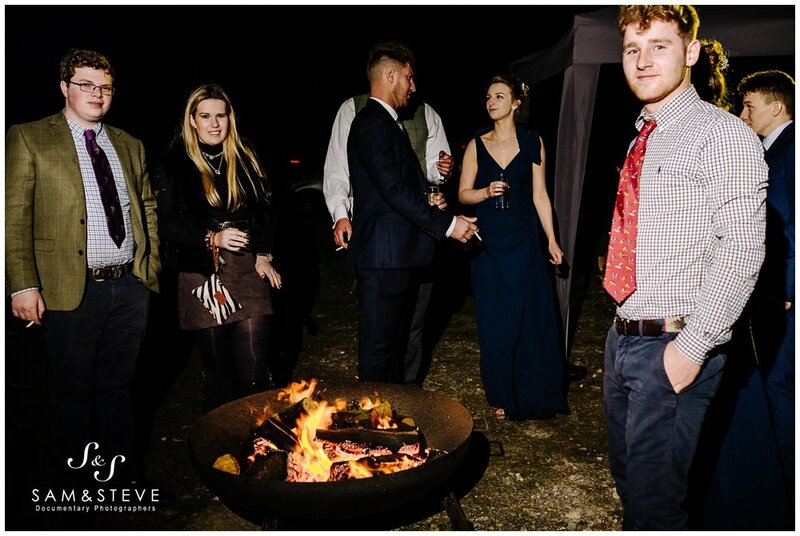 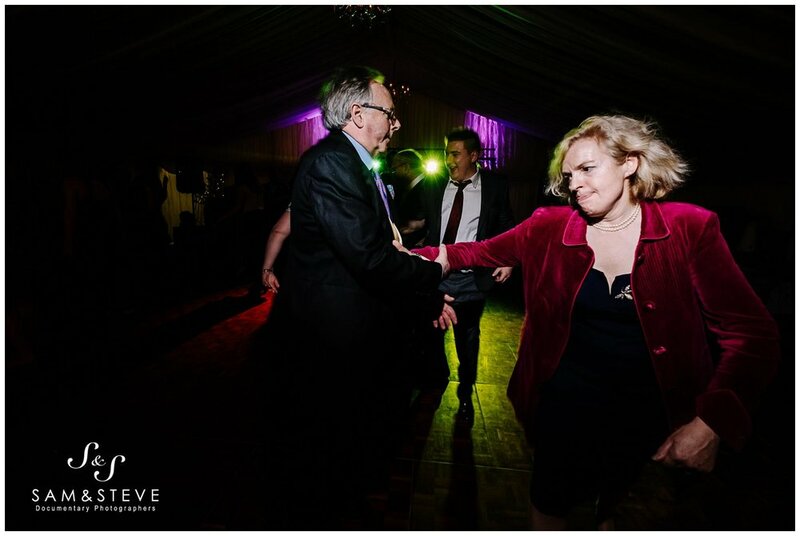 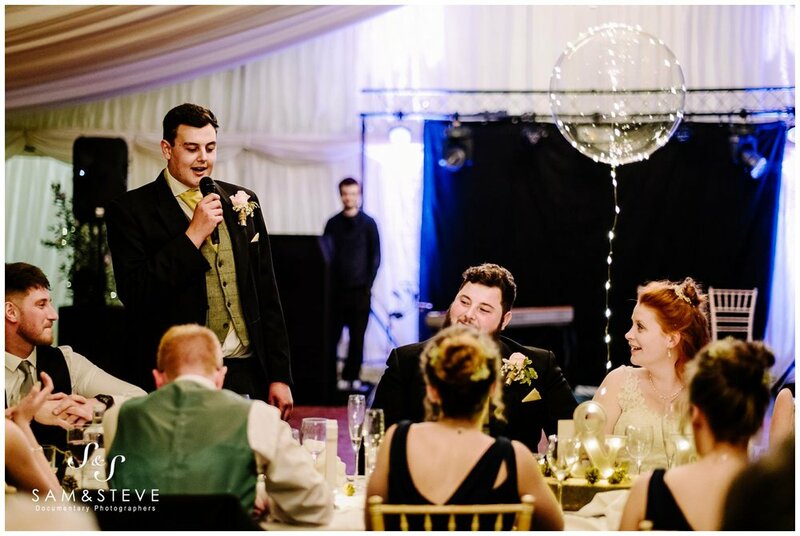 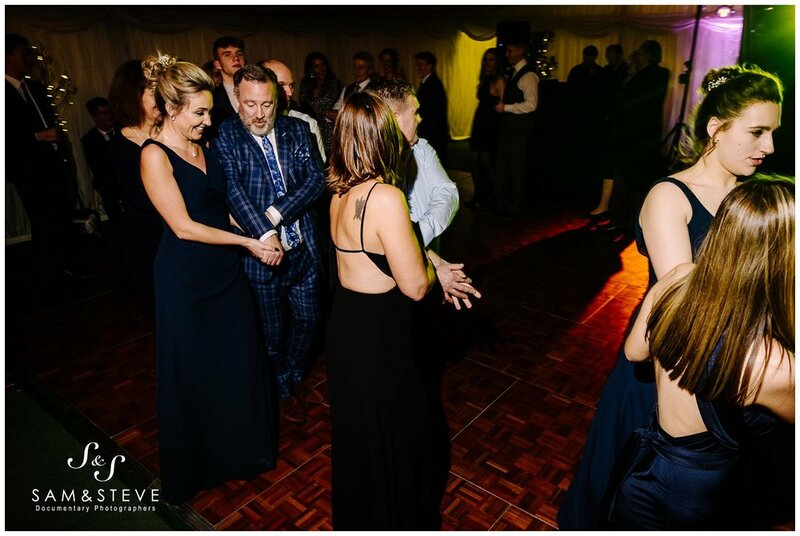 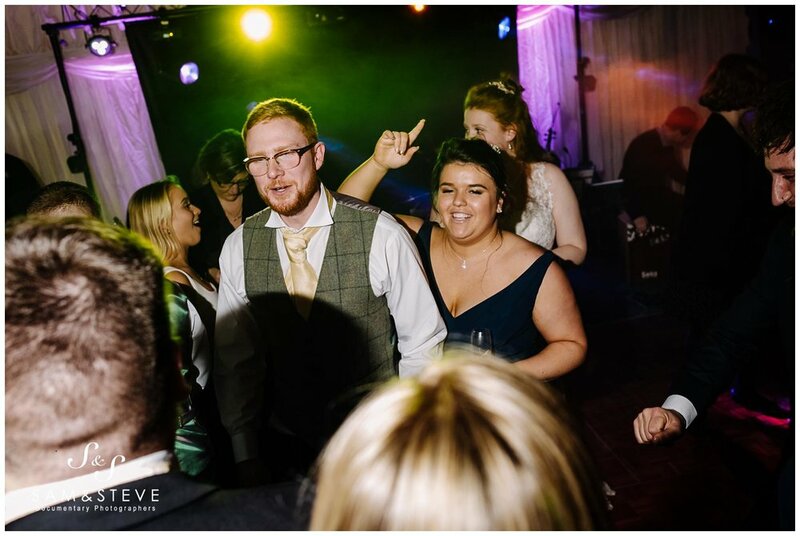 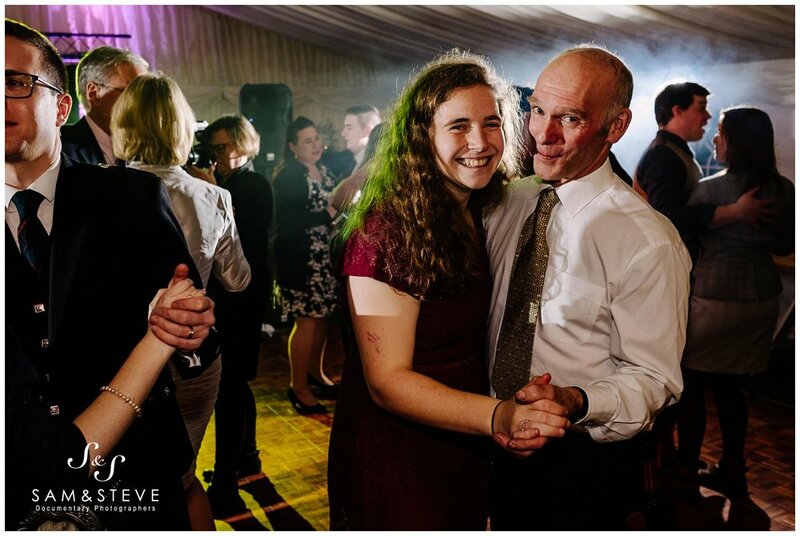 After some fine catering by Quince and Clover from Bicester, and some moving speeches, the partying began with disco by Posh Parties, Northamptonshire followed by a ceilidh dance provided by the River Head Ceilidh Band. 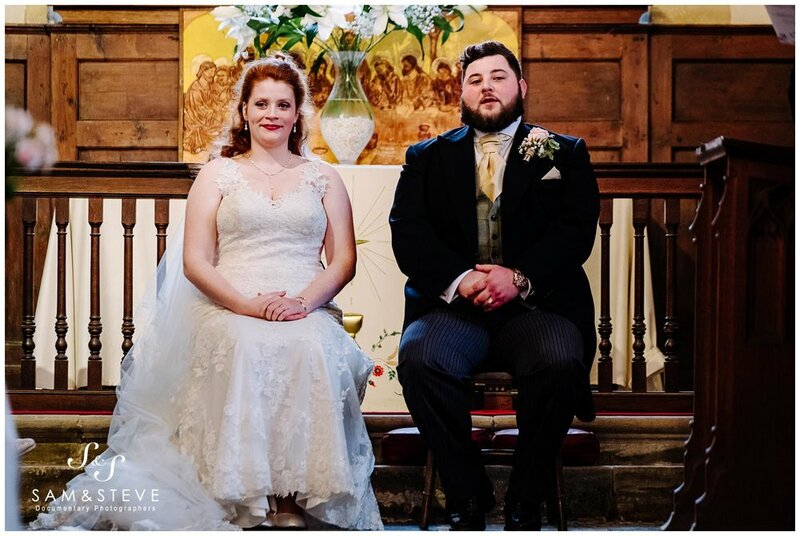 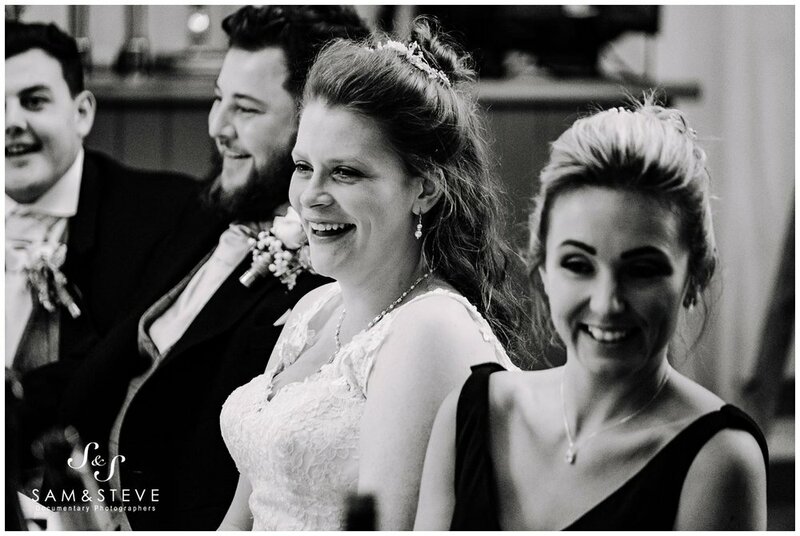 We loved being Millie and Nick’s wedding photographers, thanks so much for having us along. 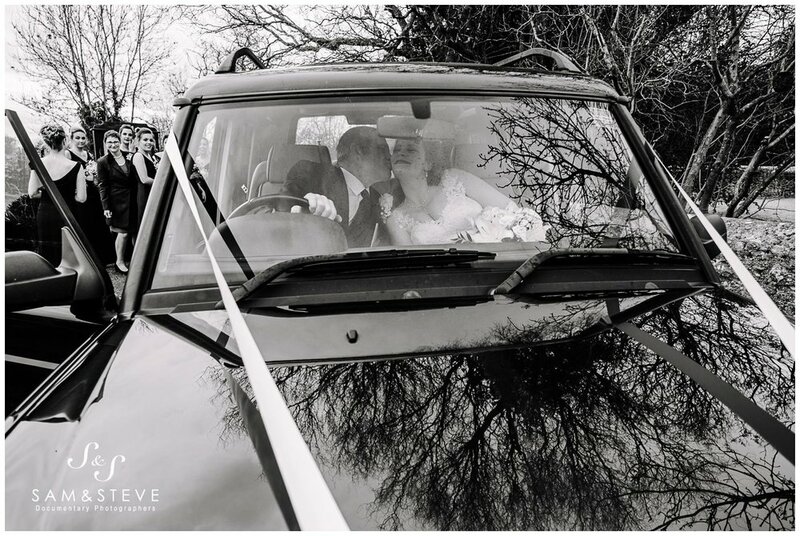 Below is a sample of some of our photographs from their wedding day. 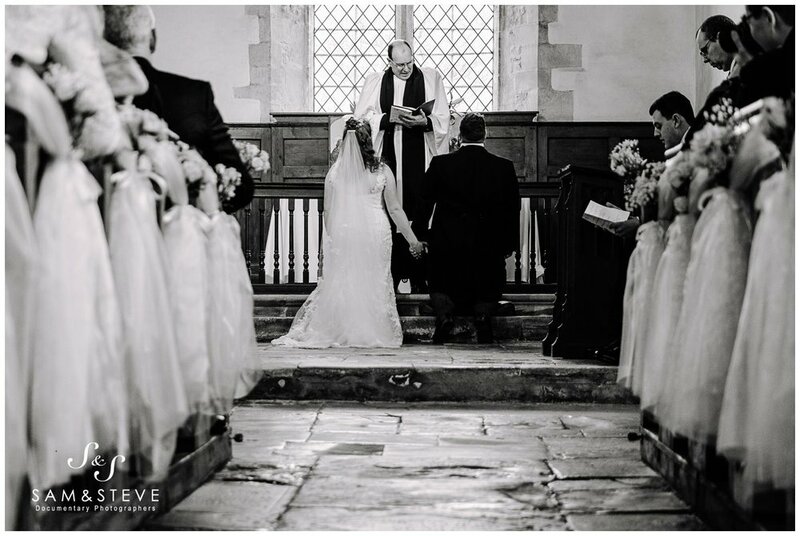 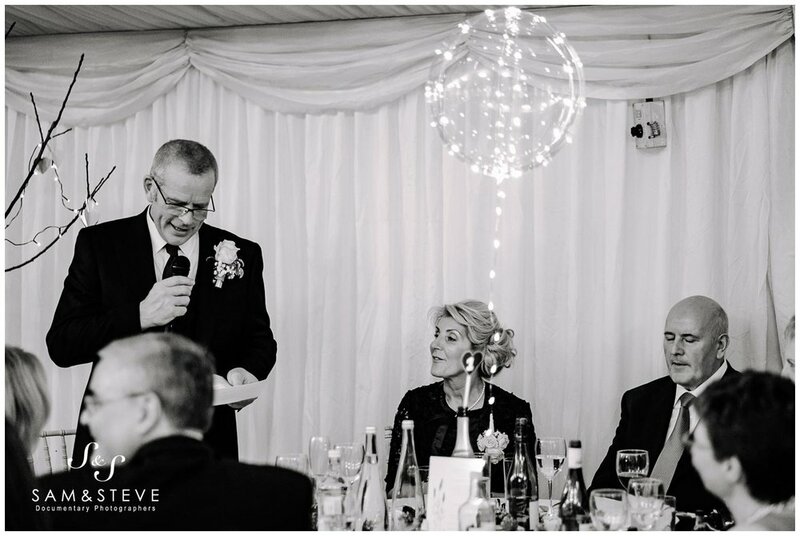 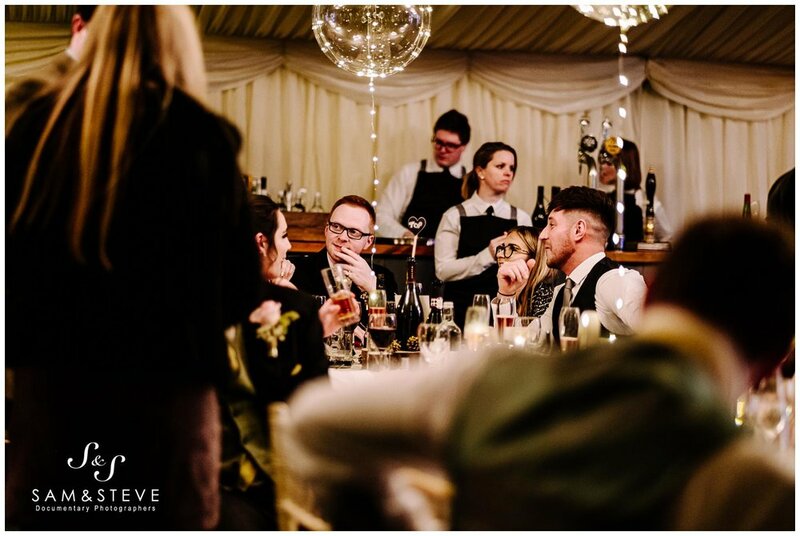 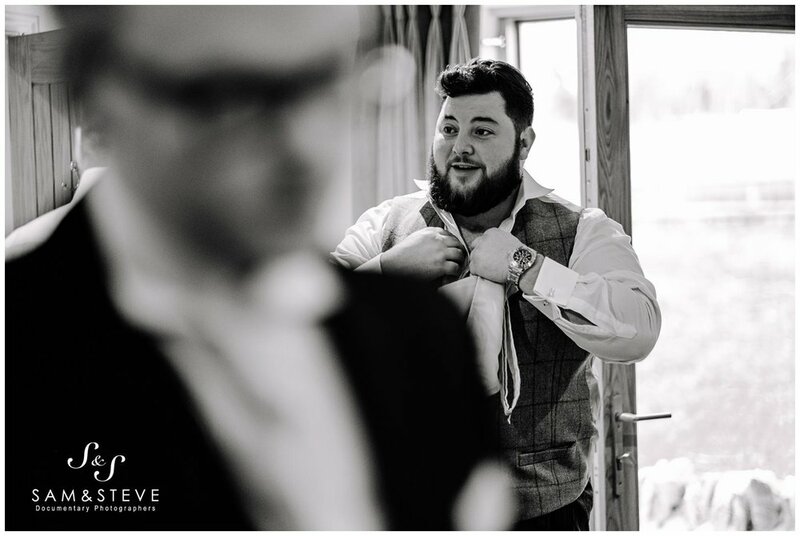 If you are planning a Bicester Wedding, a marquee wedding, or any other type of wedding where you like the idea of two documentary style wedding photographers, we would love to hear from you. 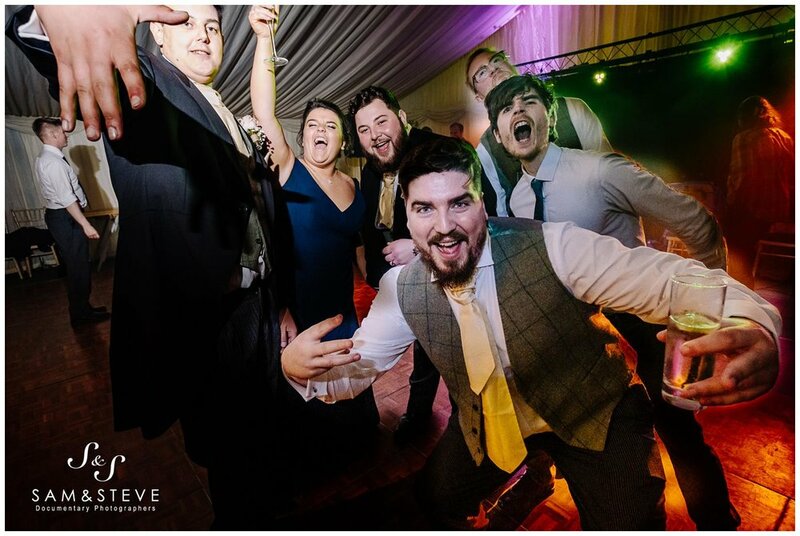 You can contact us by clicking on the button below!